Don’t give up your summer radiance just because it’s Winter. This award-winning oversized powder bronzer will give you a healthy faux glow on your face, décolletage, shoulders - anywhere you want to look sunkissed. It’s dermatologist-tested, oil-free and has built in SPF because we all need protection from harmful UVB rays year-round. 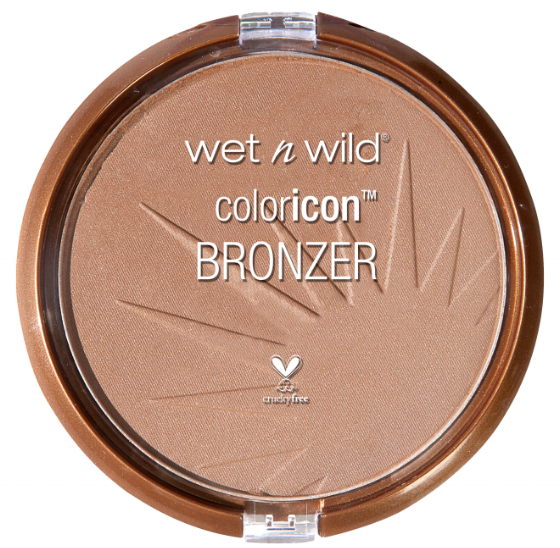 Wet n Wild Color Icon Bronzer in Ticket To Brazil. $3.99. Drugstores.